On January 25, 1816, Saint Eugene de Mazenod brought together in community the first Missionaries of Provence to preach the Word of God to the poor. At the heart of this new beginning was the quest for holiness. If there were men, filled with apostolic virtue and zeal, the work of preaching the Gospel to the poor would bear much fruit in a short time. A life of regular prayer was essential to this new missionary life. St. Eugene borrowed from his Sulpician training and freely included inspiration from other schools of spirituality. A tradition of prayer and religious exercises began in our Congregation. 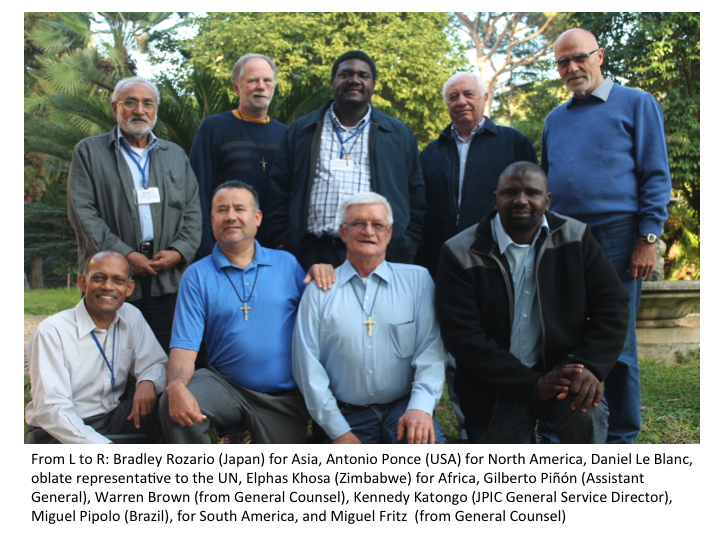 O God, we are filled with gratitude for your call to be Missionary Oblates of Mary Immaculate. 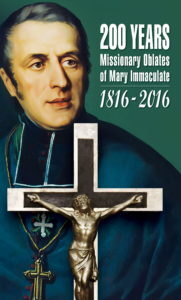 This vocation, first inspired in Saint Eugene de Mazenod, is a gift for the life of the Church. By this charism we have a special relationship with Jesus the Saviour, whose Cross reveals your unconditional love for all humanity, especially for the poor and most abandoned. 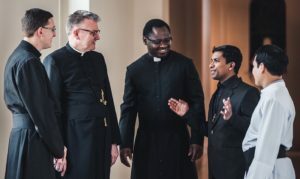 Through the Oblate charism we also are brought into close communion with the poor, and we discover that we are evangelized by those to whom we have been sent. We thank you for the grace of our vocation, praying that we live it in faithfulness and joy through the intercession of Mary Immaculate and in Christ Jesus our Lord. Amen. With a sense of reverence and affection for the Missionaries of Provence, our first fathers, we commemorate our beginnings exactly two hundred years ago in this very place. We stand on the shoulders of these men: Fathers De Mazenod, Deblieu, Tempier, Mie and Icard who left their homes and gathered here, to form a community for the work of the missions. Read the full Homily.